Snurk Ballerina Duvet Bedding Set is perfect for all little girls who dream of being a ballerina. Famous Ballerina Nancy Burer posed for Snurk on her pointe- making sure the design was as authentic as its gets! The tutu was designed at the Dutch National Ballet and hand crafted in their studio. This bed linen set will enable them to transform themselves into a elegant ballerina and embark on their own adventures in dreamland. This luxury children's bedding set is the perfect gift for for all little girls who want to become ballerina's. 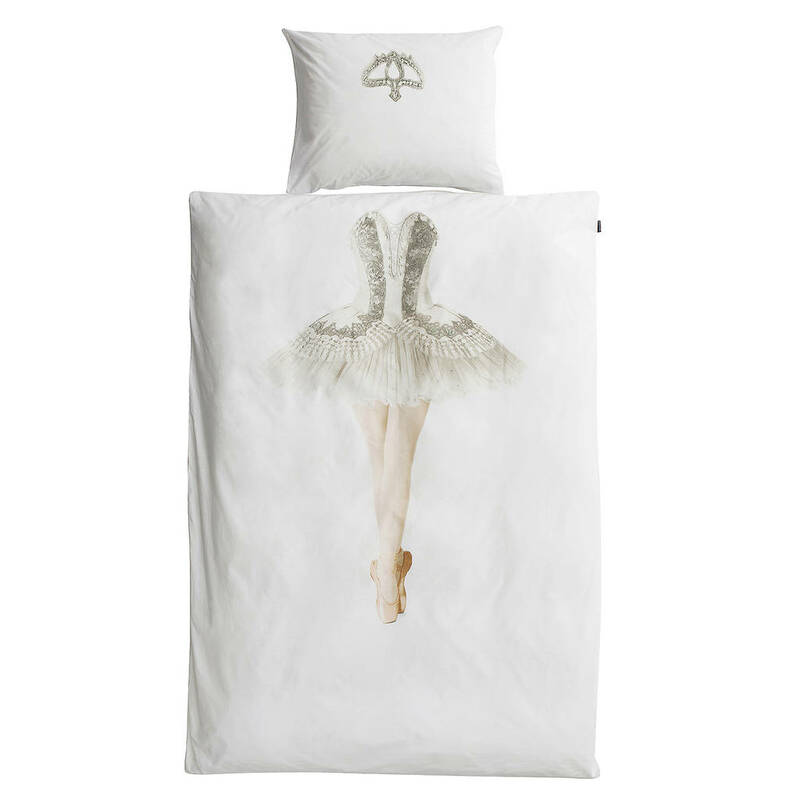 This duvet set gives you a chance to become your very own delightful dancer.